From the May 2015 Desktop News | Desktop News, your monthly digest of news from the College of Arts and Sciences, won an Award of Excellence at the Public Relations Council of Alabama’s annual convention in April. The Arty Party, the College’s annual fine arts and performing arts fundraiser, was also recognized with an Award of Merit. PRCA is Alabama’s largest group of public relations professionals with approximately 450 members in six chapters across the state. The organization provides professional development and networking opportunities for members, and the PRCA Medallion Awards allow members to receive feedback and be recognized for their work. “The PRCA Medallion Awards allow PR professionals and students to showcase their work and have it evaluated by communicators from outside of our state,” said Dr. Suzanne Horsley, PRCA West Alabama chapter president and faculty adviser for UA’s student PRCA chapter.  Desktop News, a monthly e-newsletter for the College of Arts and Sciences, provides students, faculty, staff, alumni and friends with up-to-date news about the College. It is produced by Stephanie Kirkland, communications specialist, and sent to about 67,000 readers monthly. The Arty Party is The University of Alabama’s most successful fundraiser for the fine and performing arts and has raised more than $300,000 in support of the five fine and performing arts programs at UA. It is a project of the fine arts committee of the College of Arts and Sciences Leadership Board in collaboration with College staff. The Award of Merit recognized the 2014 Arty Party, which raised $31,000 for UA’s School of Music. Awarded team members include Leadership Board members and fine arts committee co-chairs Paula Quarles and Pam Askew; Rebecca Florence, director of college relations and associate director of development; Denise Kloster, events coordinator; Stephanie Kirkland, communications specialist; Amanda Kachler, development and public relations assistant; and members of the Leadership Board’s fine arts committee.